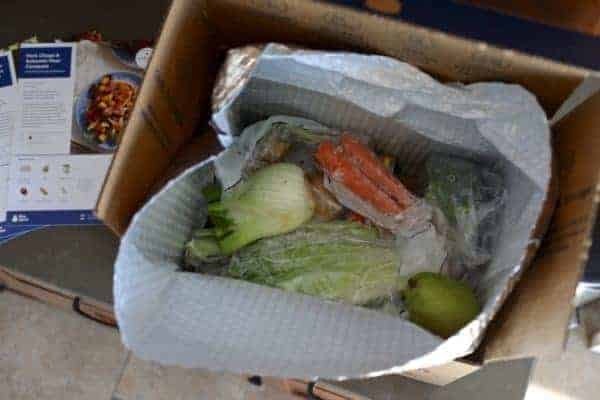 Today’s post was created in partnership with Blue Apron. Blue Apron is meal kit delivery service that delivers fresh, healthy meals to your doorstep on your schedule. 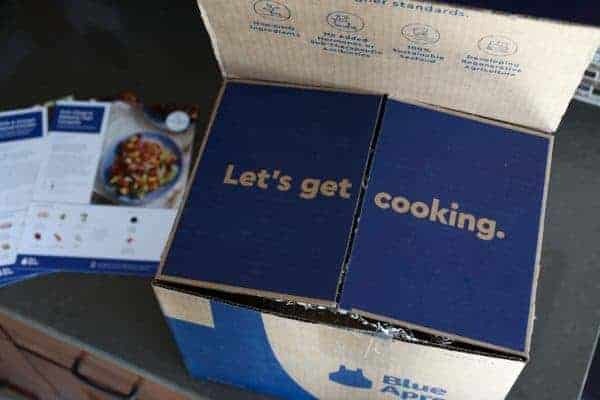 Blue Apron’s meal kits are designed by chefs and come ready to prepare with step-by-step recipes so you can make a delicious meal from scratch without having to plan or shop. 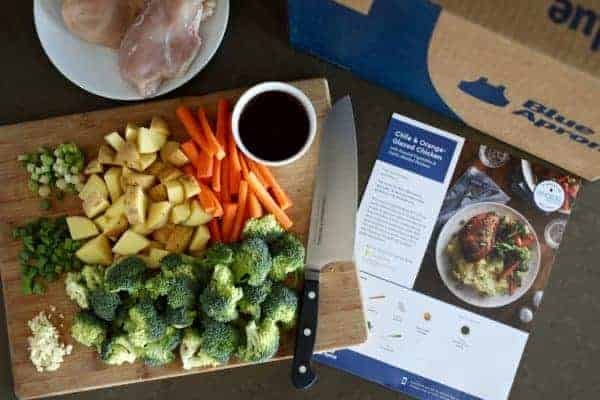 We’re especially excited to be partnering with Blue Apron this month because they’re the first ever meal delivery service offering Whole30-approved meal kits. That’s right! 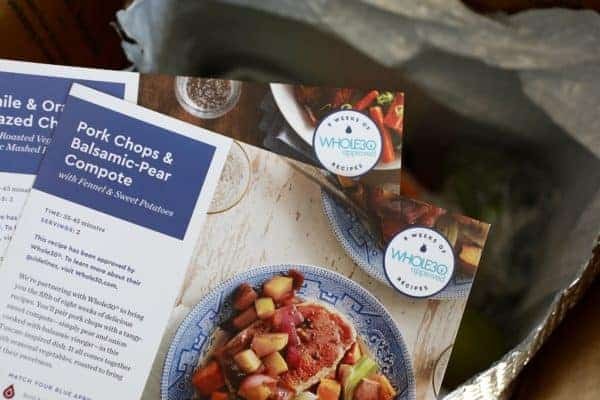 Blue Apron now offers two entree selections each week that are approved by Whole30 so you know they’re free of grains, gluten, dairy, soy, legumes and sugar. 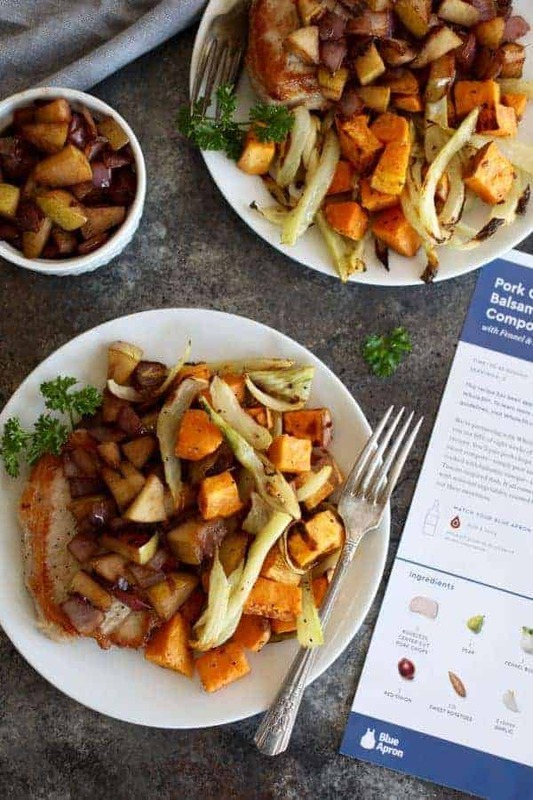 With Blue Apron meal kits you can get most meals on the table in 30 minutes or less. Meal kits are conveniently delivered to your doorstep each week, temperature-controlled and ready to be stored in the fridge until you’re ready to cook. You can skip or cancel at any time if you need more flexibility or you decide it’s not for you. You can select recipes for two or four people (the Family Plan) and specify your dietary preferences and they’ll personalize the menu for you – including offering Whole30-approved meals. 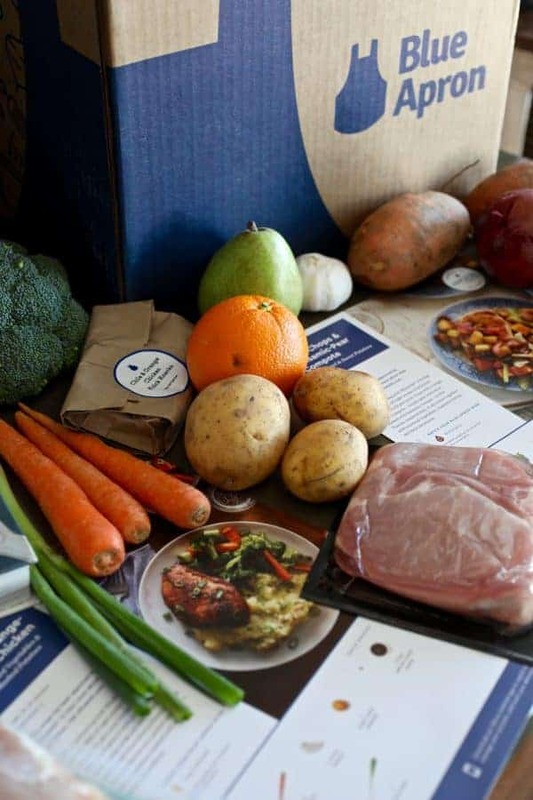 Blue Apron has partnered with farmers to raise the highest-quality ingredients while working to create a distribution system that delivers ingredients at a better value. 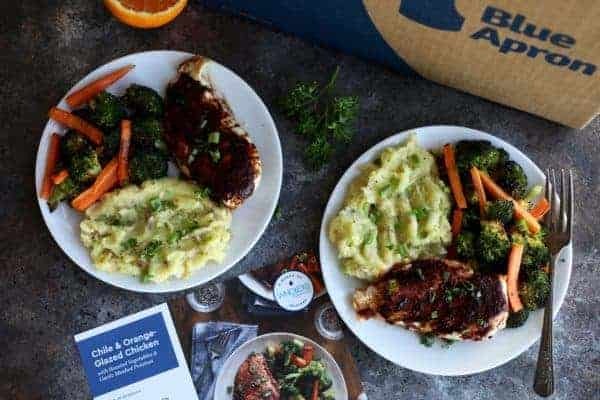 Their meal kits are built with sustainable seafood recommended by Seafood Watch®, grass-fed, pasture-raised beef and poultry from BN Ranch and pork not fed antibiotics or hormones whenever possible. They also focus on seasonal, non-GMO ingredients sourced directly from the producers to cut out the middleman and thus keep costs down. Now it’s easier than ever to enjoy Whole30-approved meals with less stress. 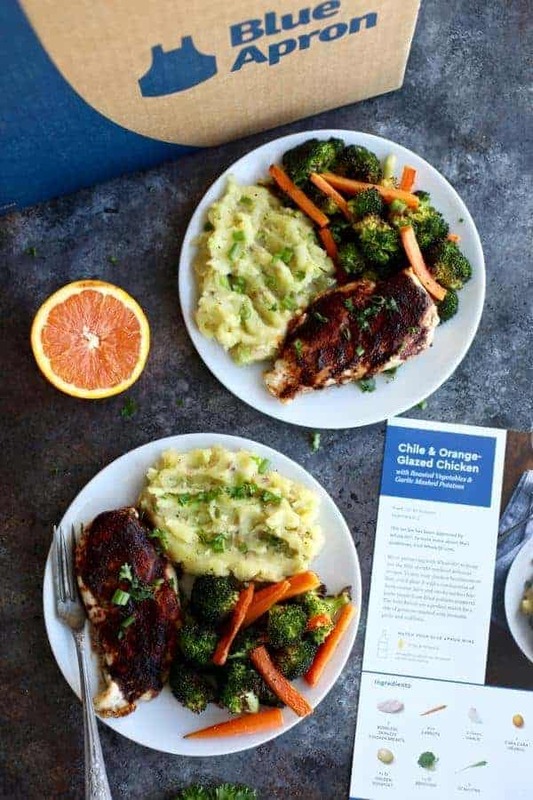 Blue Apron does the planning for you – all you have to do is chop, cook and enjoy their family-friendly meals. This post was made possible by our friends at Blue Apron. Though we received compensation for this post, the opinions expressed here are – as always -100% our own. Thank you for supporting the great companies we work with thereby allowing us to continue creating great recipes and content for you. Have been trying hello fresh since the first of the year, they are delicious and great fun to make but they are not Whole30 compliant in most meals. Now I see this add for Blue Aprin and would like to try it but won’t be back until March 5. Will the whole30 meals be available after that date? You’re right about these meal kit delivery services being fun. I love trying new things, especially when a lot of the work is done for me. I am unsure as to how long Blue Apron is offering the Whole30-approved meals. I’d recommend connecting with their customer support team via email or phone (you can find this information at the bottom of their website).